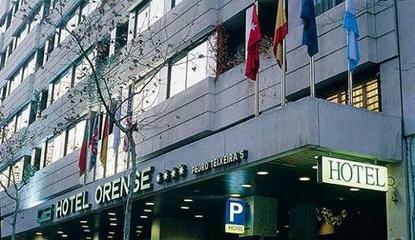 Rafaelhoteles Orense is located in the center of Madrid in the heart of Azca nearby the Palacio de Congresos Paseo de la Castellana and Santiago Bernabeu Stadium. Direct access to the M-40 ring and Trade Fair Centers.Its 140 rooms all external are designed and equipped with the lates technologies to satisfy to the client in business travel and everybody who is coming to Madrid in cultural or touristic trip.It offers also a modern Restaurant Cafe of design with wide times of opening so it adapts to the necessities of the client in this business area. It offers from a complete buffet breakfast in the morning to the lunch or dinner at night where you will be able to enjoy the different possibilities of menu.The establishment is an ideal hotel to enjoy the main attractions of the area and to fix your business in one the most financial areas of Madrid.